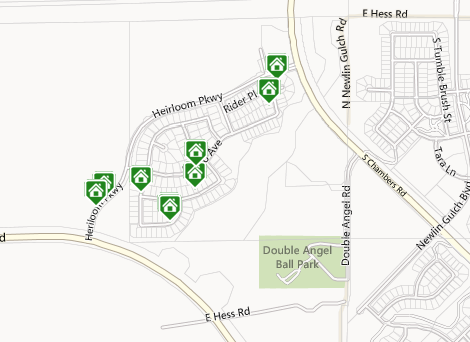 Heirloom is a new community built by Standard Pacific with homes built in 2013 and 2014. You will find ranch and two story models with 1,667 square feet up to 5,326 including finished basements. Homes are comprised of 2-5 bedrooms, 2-3 car garages. Heirloom is South of Mainstreet West of Chambers. The average sales price of homes in Heirloom are $540,449 and are averaging 157 days on market.